Grand Hilton Seoul’s all day dining restaurant Atrium will host a gala dinner on Christmas Eve. Fresh oyster, lobster soup, smoked duck, king prawn and tenderloin steak, bass roast and Christmas dessert will be served. The set-course menu costs 150,000 won per person. 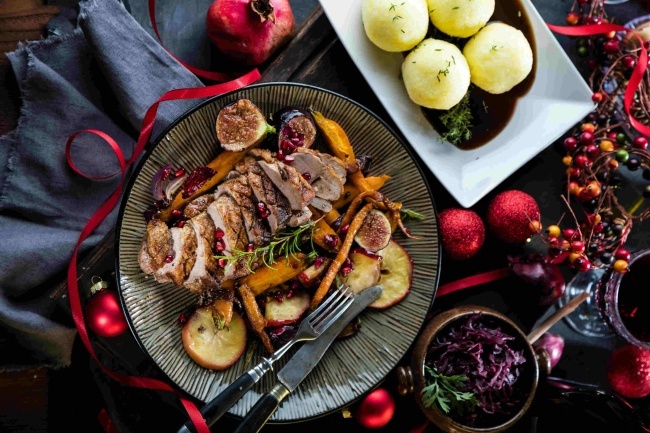 On Christmas day, Atrium will offer a special brunch where unlimited fresh salad bar and king prawn & steaks will be served, along with seasonal fruits and various kinds of detox juices. The brunch will be available 11 a.m. to 2 p.m. at 85,000 won per person. For more information or reservation call Atrium at (02) 2287-8270. For the winter season, InterContinental Seoul COEX presents Fur-the-More package, offering guests eco-fur bags in line with the latest eco-friendly “vegan fashion” trend. Custom-made by the hotel, the eco-fur bag is a mini-sized bag that may be styled as a tote bag and a shoulder bag. The package also includes breakfast buffet for two at Brasserie. In December, rates for the Fur-the-More package start from 245,000 won. From January to February, it will cost 215,000 won. For more inquiries and reservation, call InterContinental Seoul COEX at (02) 3430-8888. 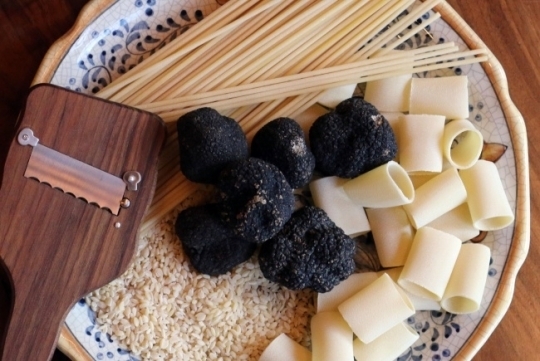 Park Hyatt Seoul’s Italian restaurant Cornerstone is holding an Italian home-style menu promotion highlighting premium truffle until Dec. 2. A five-course dinner set menu, from entree to dessert sprinkled with truffles, can be enjoyed at 158,000 won. The course menu can be paired with wine at an additional charge of 58,000 won. Single menu items can be ordered on weekdays at the price of 28,000 won each, with two or three grams of truffle. It costs 10,000 won to add an extra gram of truffle. For more information or reservations, call Cornerstone (02) 2016-1220. Hilton Busan’s buffet restaurant Da Moim will be turned into a holiday eatery in December. The buffet will operate under the theme of Merry X-mas World Cuisine, introducing Christmas dishes from around the world. 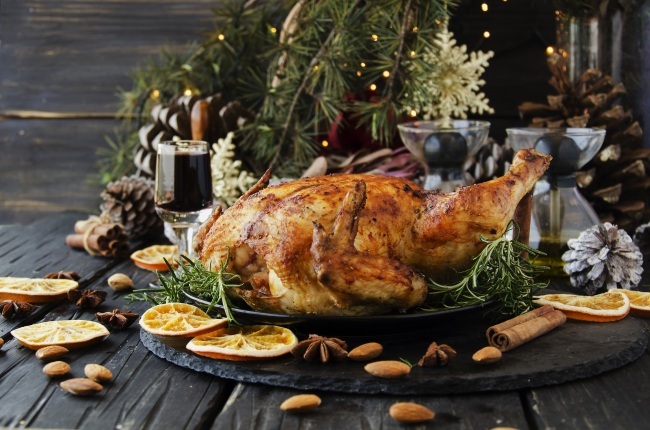 Roast turkey, quesadilla, Indian-style poulet roti and more will be prepared at the buffet station. The buffet price varies from 75,000 to 95,000 won. From Dec. 22 to Dec. 25 and Dec. 29 to Dec. 31, the restaurant will prepare its Christmas & New Year’s Special Buffet, additionally offering grilled lobster and fresh tuna. The buffet promotion costs 115,000 won per person. For more information, call Da Moim at (051) 509-1361. 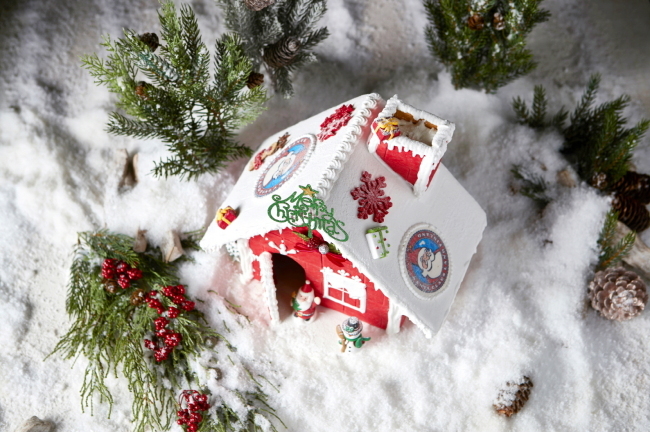 Walkerhill Hotel & Resort’s gourmet shop The Deli presents Santa’s Cabin Cake for Christmas. The cake is topped with Santa’s Cabin decoration. The decoration is a miniature version of what will be installed at the Grand Walkerhill Seoul lobby. The cake costs 70,000 won and is sold only on Christmas Eve and Christmas Day. Reservations can be made from Dec. 1. Buche de Noel, a traditional cake for Christmas in France will be on sale at The Deli. For more information, call (02) 450-4479.